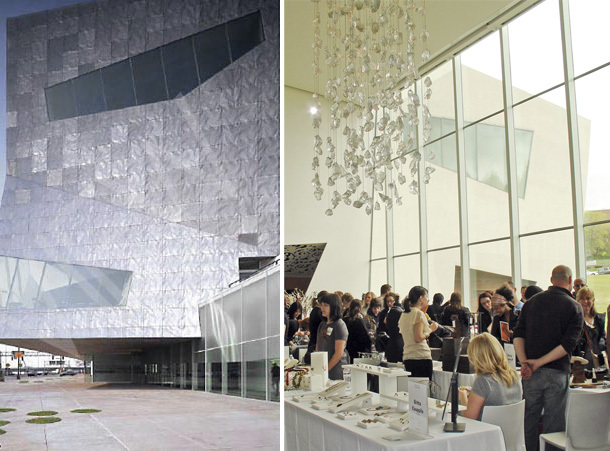 Two independent designer markets were held today in Minneapolis. 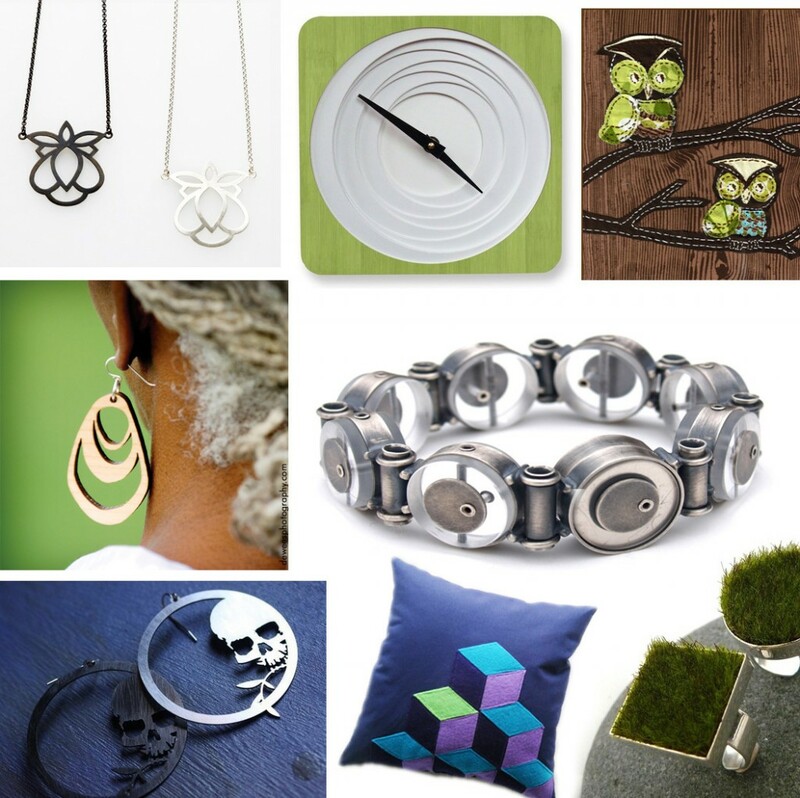 The Walker Art Center hosted the Local Jewelry Artist Mart (shown below), and the first ever HandmadeMN Spring Market took place at at the VFW. I ran into a few familiar faces and Ponoko users and met with several new designers. 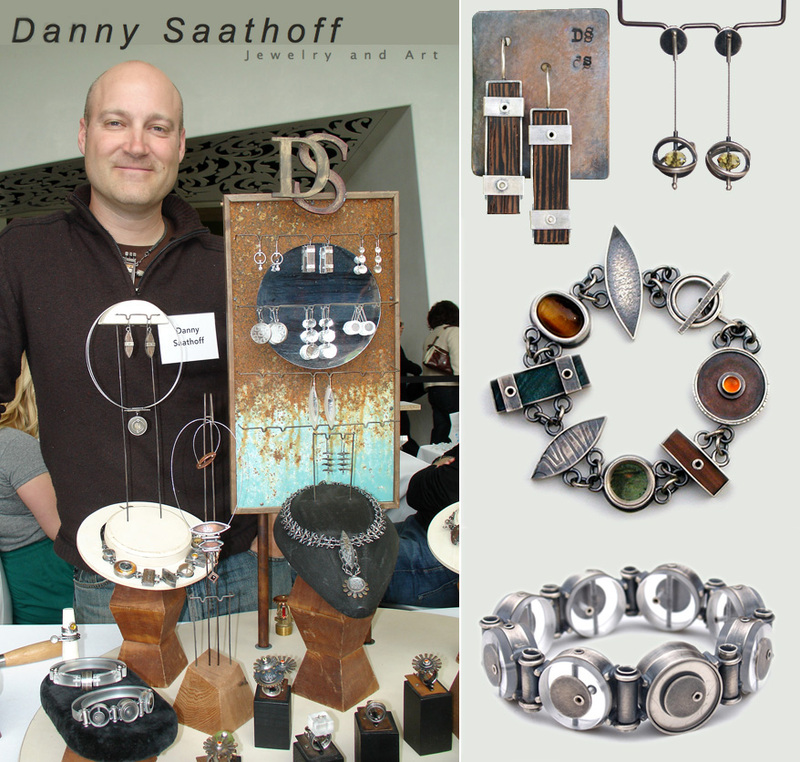 One of the new names is Danny Saathoff. His jewelry pieces are built from vintage objects and components, giving his work a strong steampunk aesthetic. The translucent bracelets in the lower left of the photo are fabricated in part with a CNC machine. Saathoff also creates mechanized art. 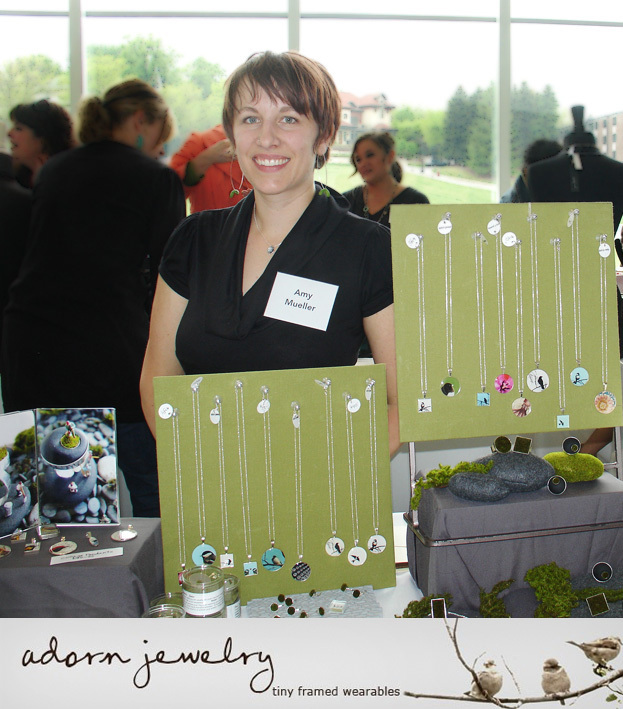 I also met Amy Mueller of Adorn Jewelry. Her speciality is “tiny framed wearables”. 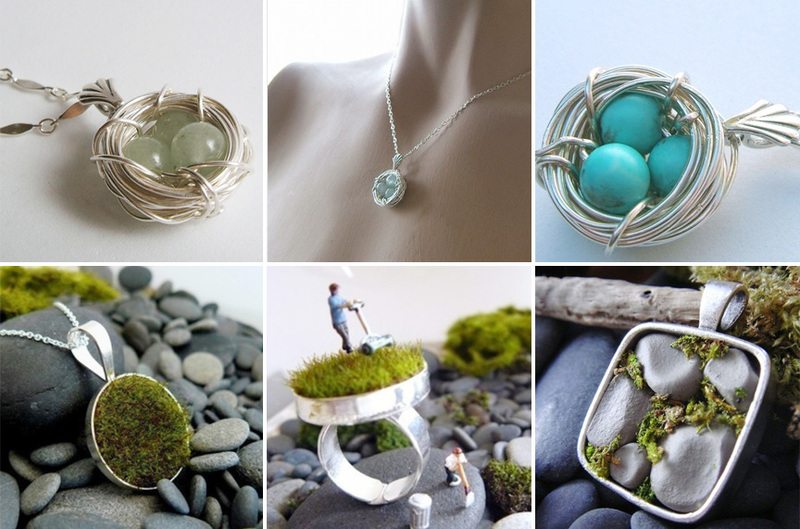 I can’t decide which I like more, her miniature plots of faux moss and stone or silver wire, bird nest pendants. 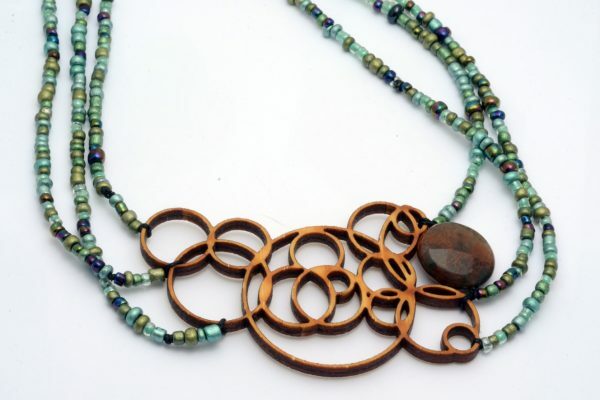 Local jewelry design celeb Karin Jacobson was at the Jewelry Mart with a variety of rings, earrings, and necklaces. Below is a selection from her Lotus line. Check out her latest comic book styled catalogue. 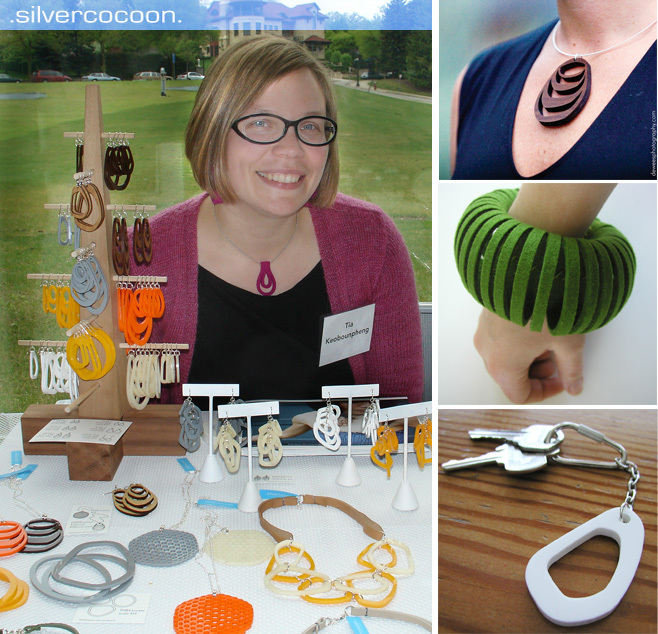 Tia Keobounpheng studied architecture and worked in product design before launching .silvercocoon. Her graphic accessories are available in acrylic, wood, and felt. There was no lack of traffic in front of Lauren Nicole’s display for her label Infrared Studio. 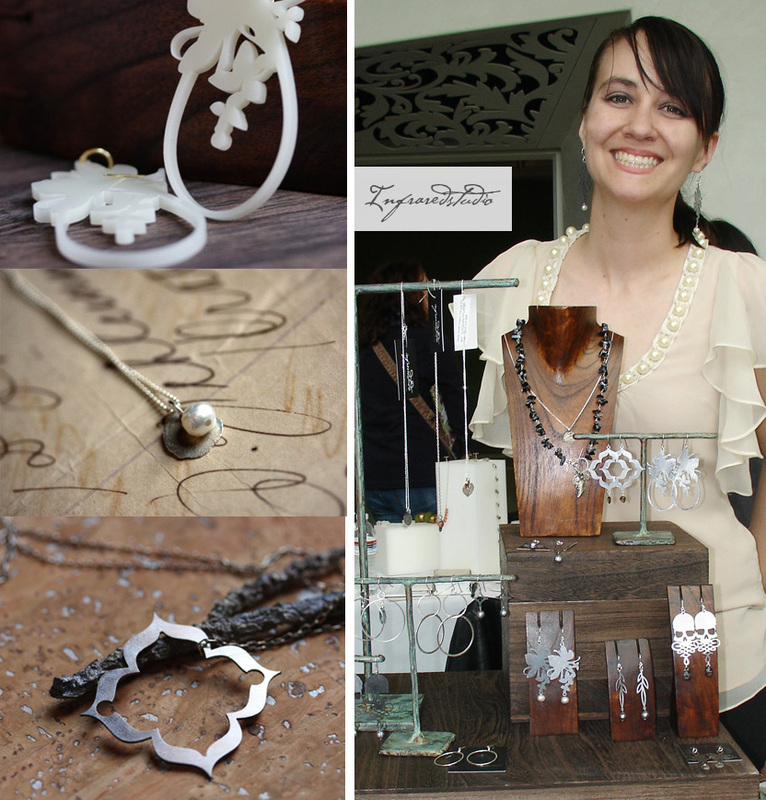 She presented an elegant palette of neutrals with pieces in stainless steel, pearls, and acrylic. She’s also been a Ponoko user since 2008; check out her showroom here. After the Jewelry Artist Mart, I went to check out HandmadeMN. I chatted with illustrator Elizabeth Hurley who also does supercute textile collages. Regan Saunders also works with fabric in making her pop-culture, silhouette pillows. She also makes paper goods and hair accessories. 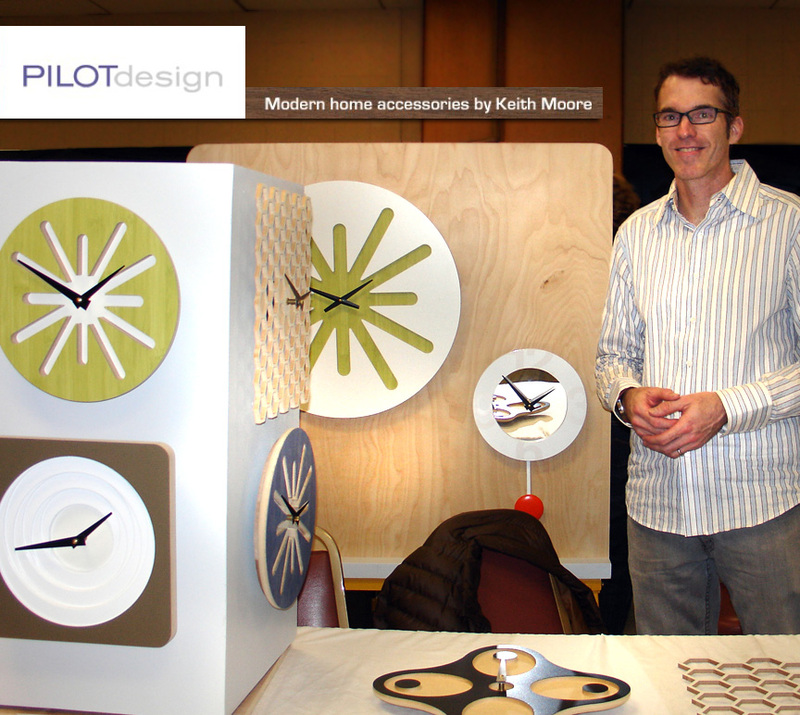 Last but not least, I met home accessories designer and technophile Keith Moore of Pilot Design. Moore has an awesome collection of modern wall clocks. My favorite is a tie between the Honeycomb and the Addison Bamboo. Most of the designers I spoke with today have been able to pursue their own design work full-time and others are building up to the jump. 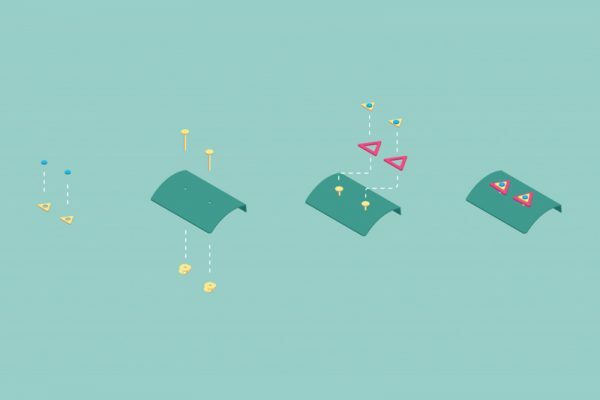 If you’ve ever wanted to make your own products, give Ponoko a try. 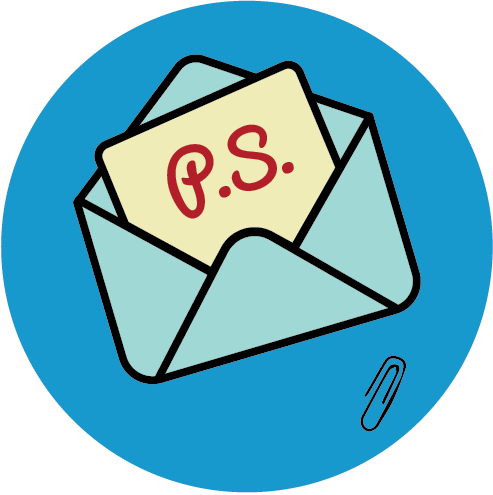 And for those of you that plan to show at design and maker markets, be sure to check out Ponoko’s maker grants for discounts on cutting, materials, or shipping.